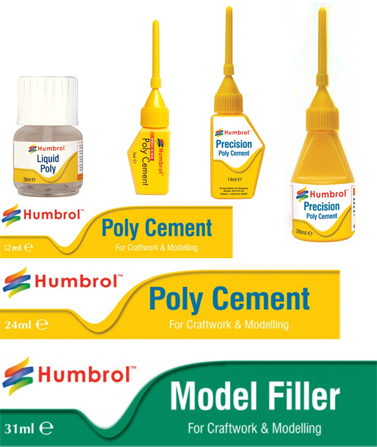 We stock a range of Humbrol adhesives & filler for plastic kits. Contains, Needle File, Tweezers, Side Cutter, Craft Knife. 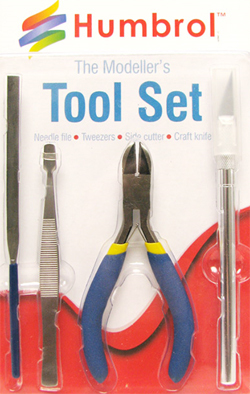 Contents, 3 x Needle Files, 3 x Clamps, Clamp Holder, Tweezers, Craft Knife & Blades, Sprue Cutters, Pin Vice & Drill. 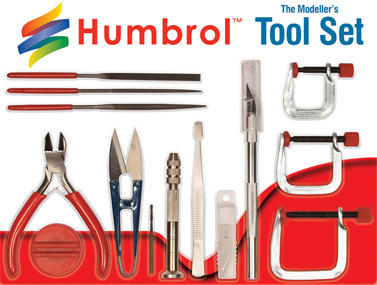 The Humbrol Work Station has many features: Double depth sections for holding 9 x 14ml/12ml Humbrol Enamel or Acrylic pots, or 3ml Humbrol Acrylic pots. Double depth water cup holders, which fit Humbrol 28ml products. 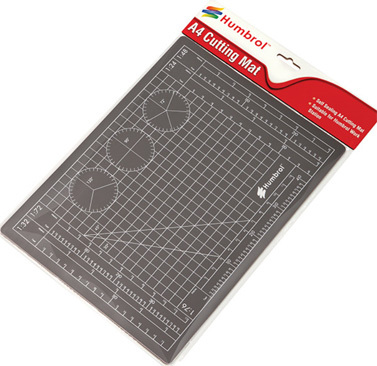 Designed to fit the Humbrol A4 Cutting Mat (AG9155) within the working area. Two mixing areas either side of the Cutting Mat. A4 Instruction sheet holder. Brush and tool holders. Easy to hold handles either side of the Work Station. Rubber feet, which allows the modeller to place on a flat surface. Suitable for use with Humbrol Workstation: AG9156. 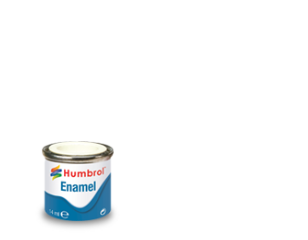 We stock the full range of Humbrol Acrylic and Enamel paints, and paint brushes.